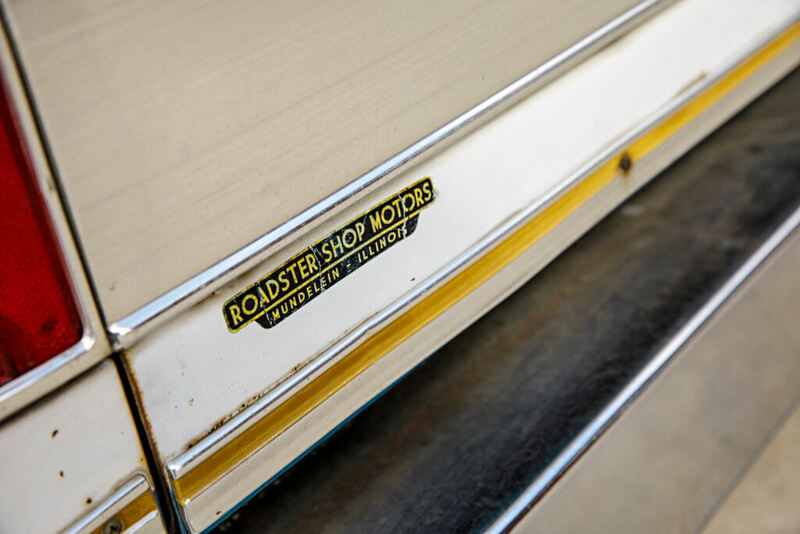 For years on end, trucks have been relegated to the shadows of the classic automotive scene, but things have changed since pioneering companies like the Roadster Shop have gotten into the mix. The company has become a main contender in the hot rod and muscle car movements, as the talented crew has been able to produce unique rides that have made bold statements on the show circuit. It can be quite a feat to leave a mark on the current scene. 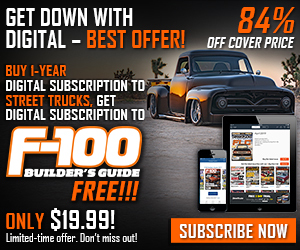 Competition is stiff, with multitudes of big name companies funding wild vehicles, but the Roadster Shop has stayed on top by keeping up with trends like the current popularity of classic trucks. Though the Roadster Shop team has been serving classic truck fans well by producing stunning, high-end Fast Track chassis, they decided to step up their game in the segment. A few years ago, they added a more modest chassis called the Spec series to their lineup. 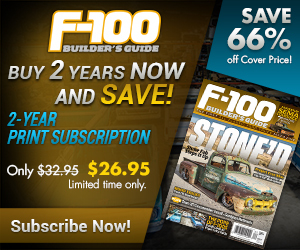 The chassis for the 1967-72 C-10 soon became one of their hottest sellers. 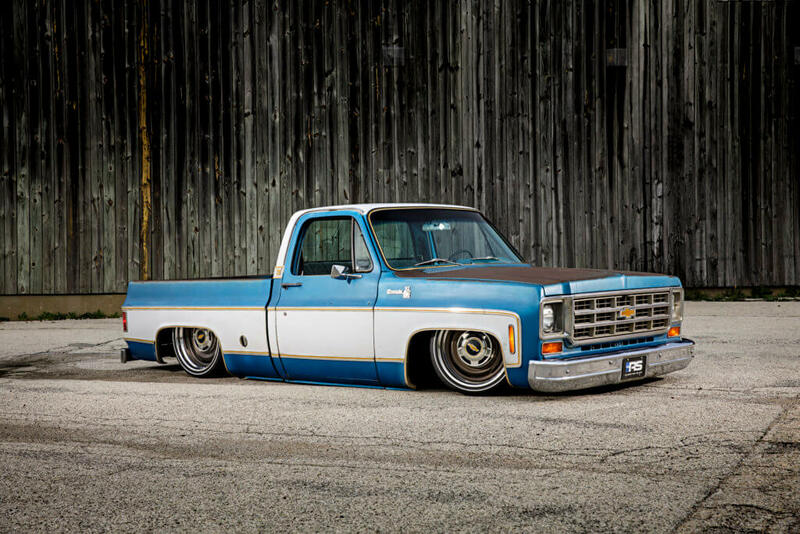 They wanted to expand by offering the same features to the other generations, so they got to work creating a Spec series chassis for 1973-87 squarebody Chevy C-10s. To get the ball rolling, they brought in a truck to prototype a frame. Though this truck had a numbers-matching 454, Phil wanted a more modern power plant and had Texas Speed and Performance build a 580-hp LQ9. 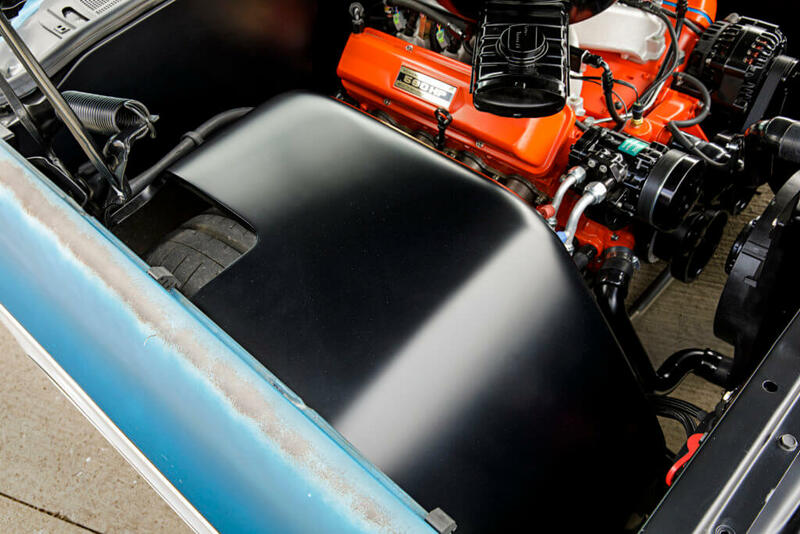 It was outfitted with vintage-style intake and 327 small-block valve covers to pull off a retro look. 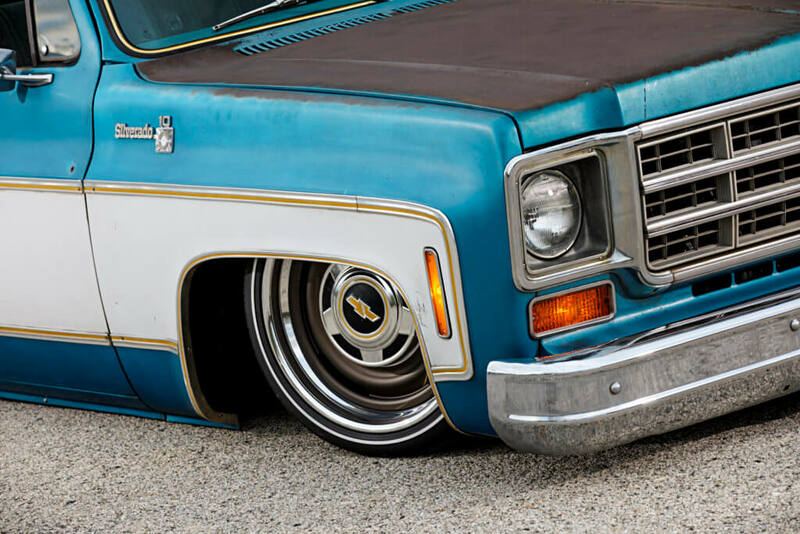 Because this truck laid body on large wheels, the stock inner fenders had to be swapped for a custom set made by the Roadster Shop team. Phil likes the style of the older steelies, and teamed up with Forgeline Motorsports to create enlarged versions in aluminum. These kickass kick panel speaker covers were cut out on a CNC machine to function well and look good. 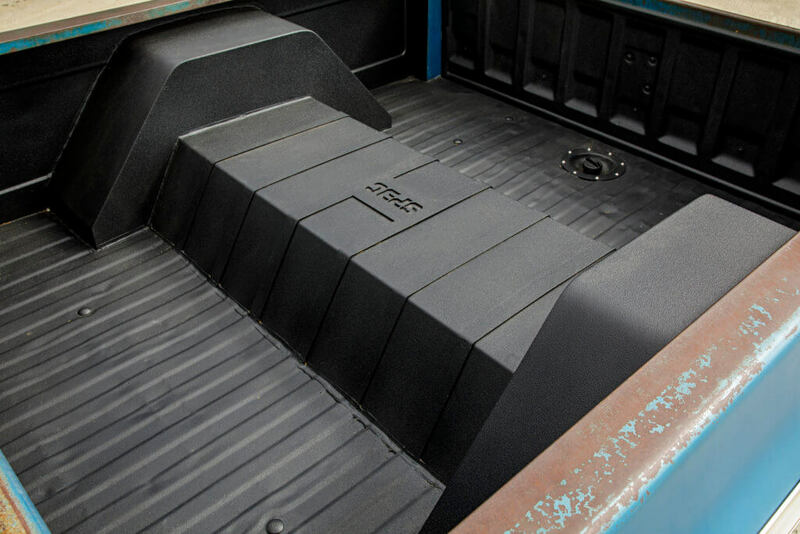 This truck was created to prototype the Roadster Shop’s new chassis line, and as you can see, the chassis allows these trucks to lay the pinch on these C-10s. 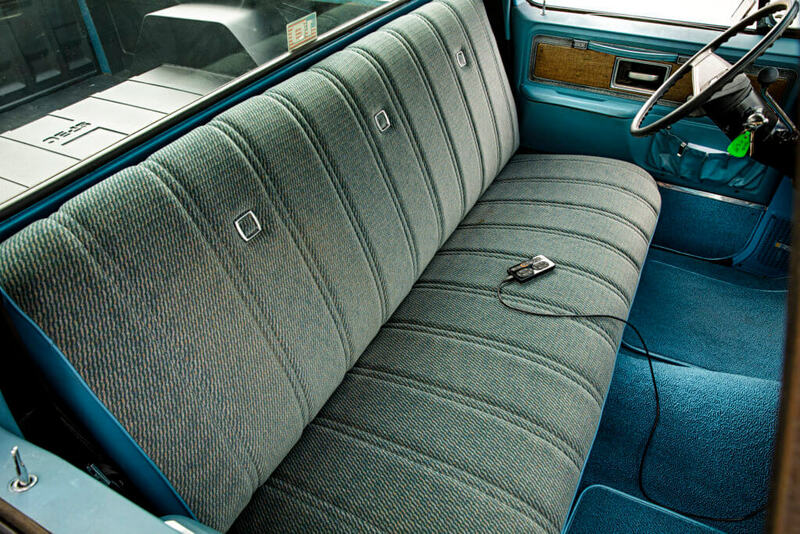 Besides the addition of a few key accessories, new carpet and dash pad, the interior looks the same as when it was purchased. A custom notch cover and set of wheel tubs covers up the frame kick-up and 22-inch rear wheels. 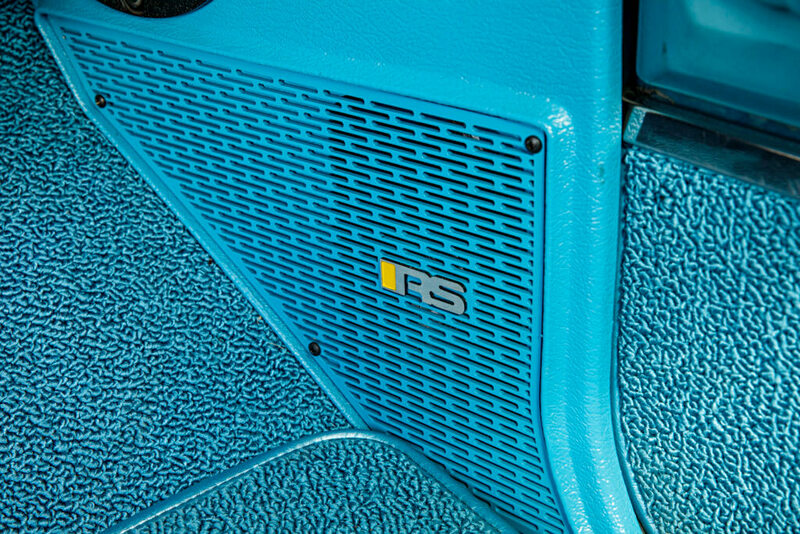 It’s little details like this badge that make a well-rounded custom truck. 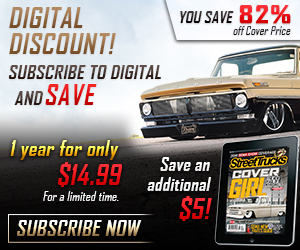 It so happens that the Roadster Shop’s part owner, Phil Gerber, is a big fan of third gen C-10s. 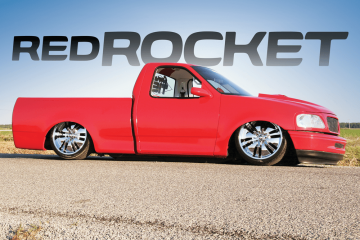 He’s had his fair share of trucks and has even had a few ’bagged versions. 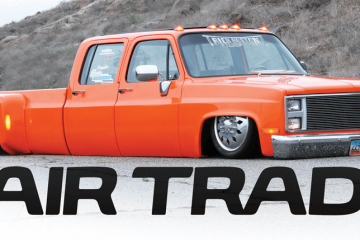 He will attest to some of the issues often associated with ’bagged trucks, like their knack for leaning heavily from side to side when going through corners, and their inability to hold down traction with high-power drivetrains. Nevertheless, the Roadster Shop team was up to the challenge of creating an airbagged chassis for trucks that could make them handle like sports cars and lay body hard on the pavement when parked. Phil is partial to blue-and-white trucks of this era and owns a Suburban in the color scheme. 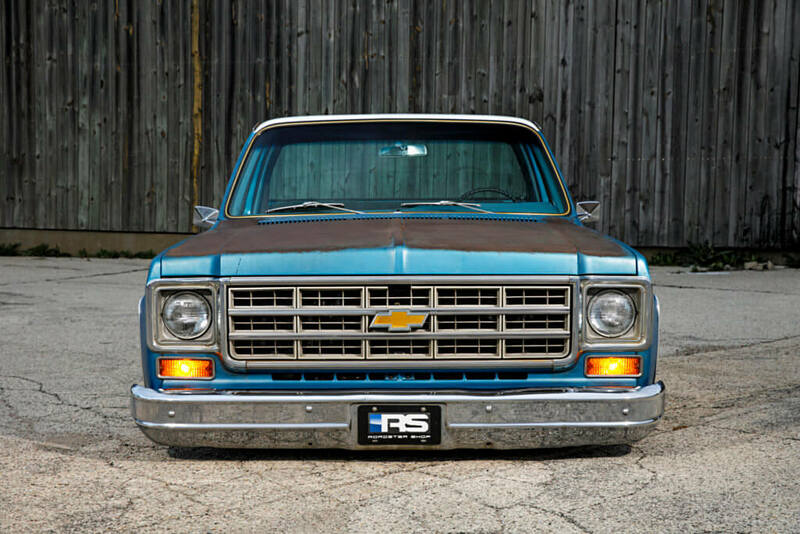 So he got to work scouring the internet for a blue-and-white short-bed third gen Chevy C-10. Luckily, he struck gold in Phoenix with this ’77 with just the right amount of patina. 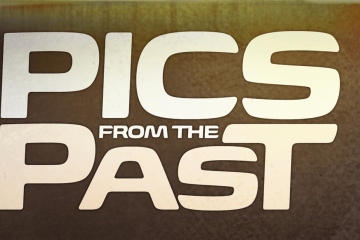 The truck was solid, so Phil made a deal with the owner and hauled it to the Roadster Shop’s headquarters in Mundelein, Illinois. 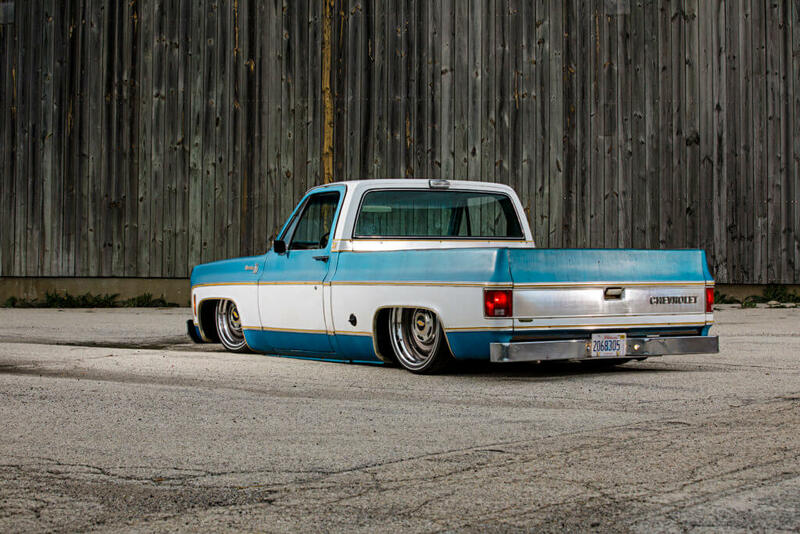 Once at the shop, the truck was laser scanned to mock-up a new frame and suspension to get this C-10 down on the ground and help others do the same. With the data loaded on a computer, the team spent several months mocking-up and designing a chassis that could not only drop these trucks to all-time lows, but also make them perform like track stars. Once a final design was drawn, it was time to test it in a suspension program to simulate how it would fair under driving conditions. Modeling components on a computer is a more precise way to develop them, but the products still have to be tested in real-life conditions before they can be sold to customers, which is where Phil’s truck came into the picture. The Roadster Shop team basically presses the “print” button for the majority of the components that are cut out on a CNC laser table and assembled. Since the team has already created similar chassis, this one was a snap to put together. With the frame constructed, the front control arms and Wilwood ProSpindles were bolted up with a set of double convoluted Firestone airbags in the middle. For steering, a modern rack-and-pinion makes turning easy, while a sway bar minimizes body roll. Out back, a Ford 9-inch rearend is suspended by a 4-link with Firestone sleeve-style ’bags. Stopping power is delivered by a set of Baer 14-inch disc brakes with six-piston calipers up front and 12-inch disc brakes with four-piston calipers in the rear. Though the truck’s original 454 was still running, Phil decided to make some updates. 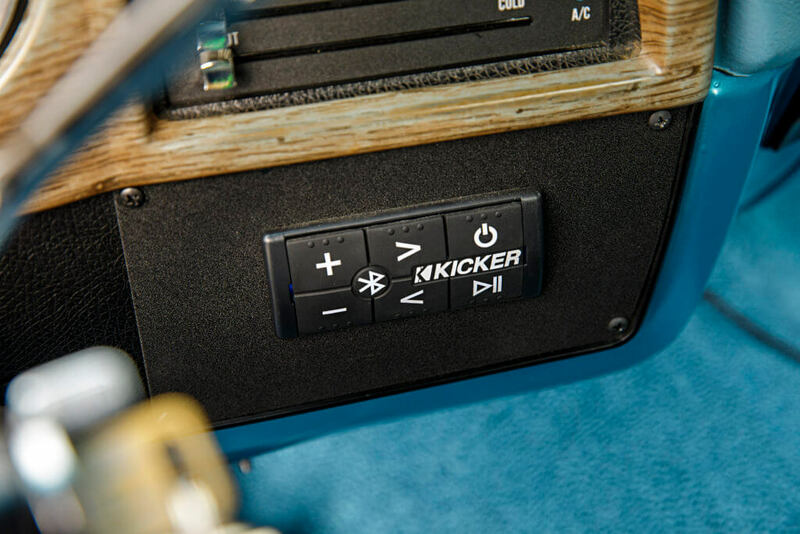 Since he deals with Texas Speed and Performance often for other Roadster Shop projects, he felt comfortable with having them build the running gear for his personal truck. Striving to get the biggest bang for his buck, he decided to go with a fully built GM LQ9. Even though this was a modern setup, Phil wanted it to have a vintage look. It was dressed with 327 small-block valve covers, Edelbrock carburetor-style intake manifold, Accufab 4150 throttle body, retro air cleaner with K&N filter and a set of exhaust manifolds from Speedway. The accessories are driven by a kit from Wegner Motorsports, and the engine is kept cool with an aluminum radiator with Spal electric fans. A chrome-moly driveshaft delivers power from the 4L65 ATD transmission to the rearend, which has 3.90 gears and limited slip differential. Once the chassis and drivetrain were assembled, the cab was prepped, which meant the floor needed to be cut to enlarge the transmission tunnel. Then the bed was measured to cut the kick-up in the rear frame that allows the axle to travel upward. The huge gap in the bed floor was covered with a custom set of wheel tubs, and a notch cover with a raised Spec logo was also added. Then, the floor was coated in spray-on liner for good looks and durability. Up front, the original fenders, core support, grille and hood were reattached. The original hood hinges were used, and a custom set of inner fenders was created by reshaping flat sheet metal. To complete the look, a set of the Roadster Shops’ new OE1 wheels in 20×9.5 and 20×10.5 was installed. They are wrapped in Michelin Super Sport tires with custom white lines. At this point, all that was left to address was the interior. Like the exterior, Phil decided to keep the majority of the original equipment because it was in decent shape and the worn look added character. 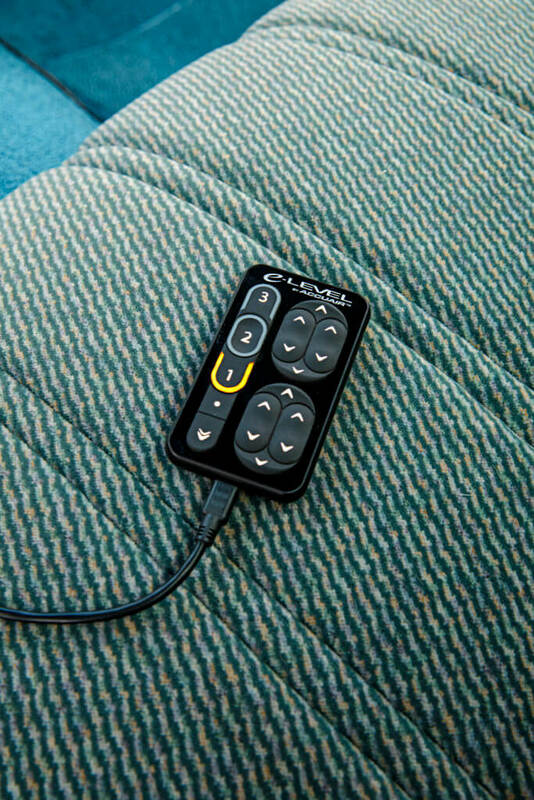 New carpet was laid to accommodate the floor modifications, and a dash pad replaced the old, broken one. 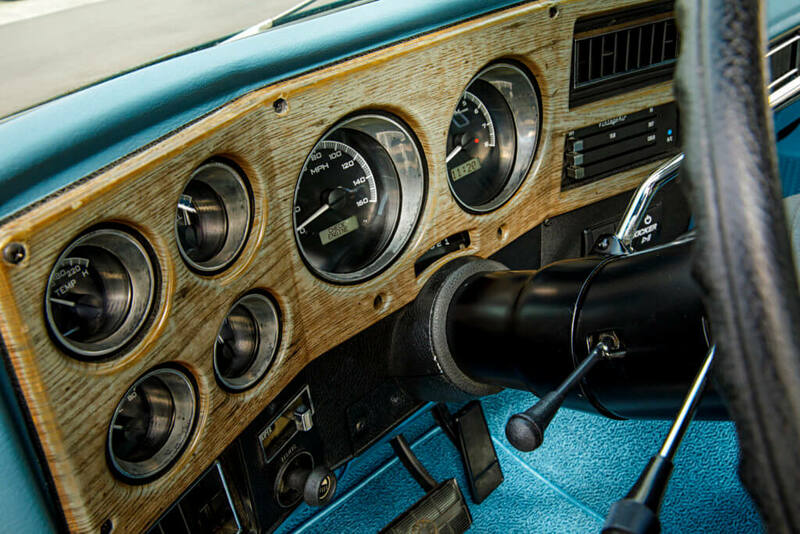 The gauges were updated with versions from Dakota Digital, and the throttle pedal was replaced by one made by the Roadster Shop. 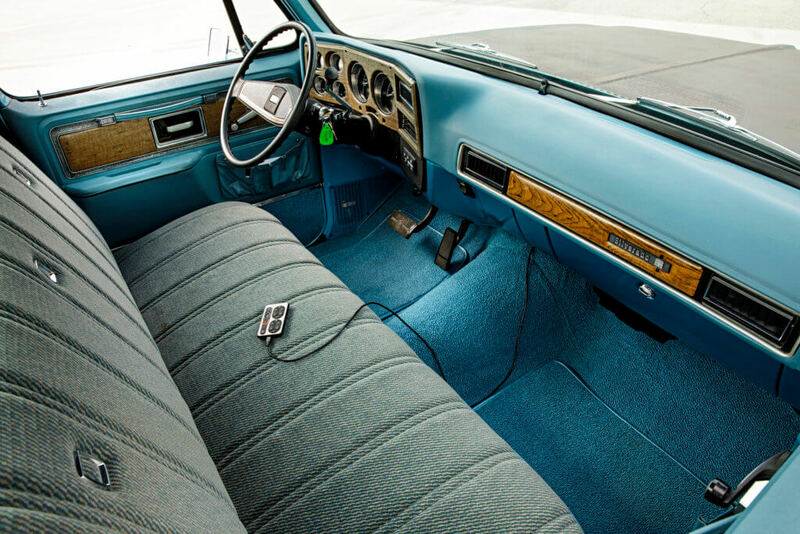 For creature comforts, a Vintage Air SureFit kit was installed along with a Kicker PXi50 head unit, two MB Quart 6-inch speakers and a Kicker subwoofer and amp. Phil and the crew went a little overboard in designing a few parts like the defrost vents and kick panel speaker covers, but they were definitely a nice touch. With everything attached and on the new frame, this truck was complete. The chassis worked well, and after thorough testing, the Roadster Shop added it to its lineup of top-notch products. As you can see, Phil decided to leave the truck mostly as he found it, with just a few, tasteful modifications to make it stylish and function like a modern cruiser. 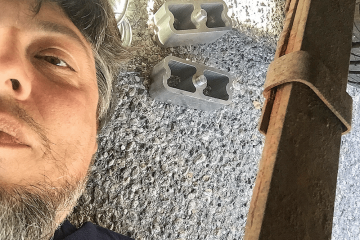 One of the things he digs most about his truck is its patina; he certainly doesn’t have to wipe it down as much as some of the other vehicles in the Roadster Shop stable. Just because this truck was created by the Roadster Shop team don’t think for a second that it’s some show circuit queen that only stretches its legs for shows and events. Phil is fully cashing in on the fruits of his labor, as the square-body serves as his daily driver. It also goes to show that even though the Spec series chassis is an entry-level product, Phil has no problem putting it to use on his personal truck. 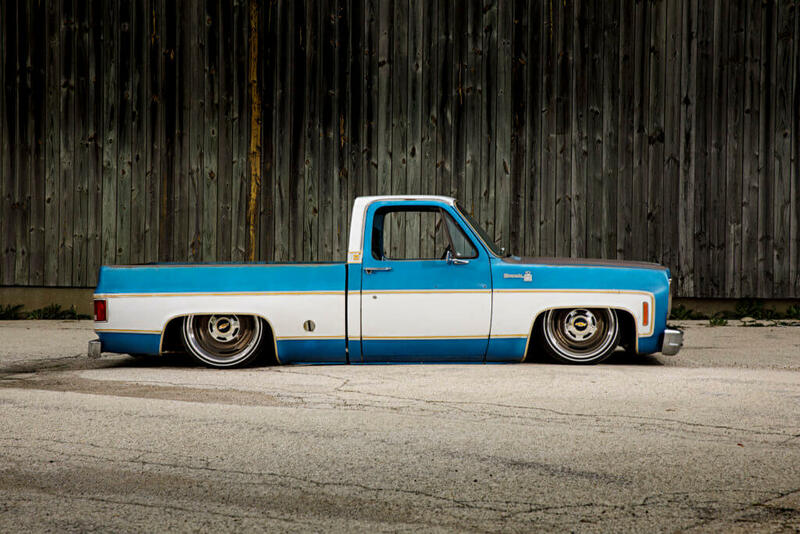 It’s great to see people like Phil use their resources to push the envelope for trucks, and it reinforces the fact that trucks are at the forefront of the classic scene. 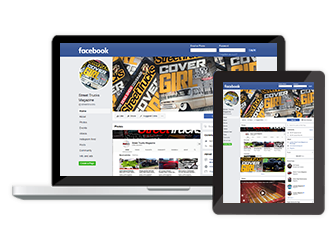 We can’t wait to see what the Roadster Shop team comes up with next. 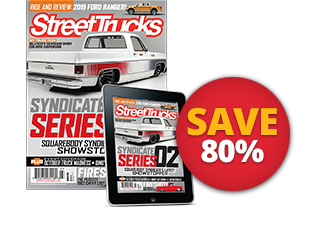 Next month, we’ll take an in-depth look at how the Spec series chassis for this truck came together and thoroughly examine all of its features.